We have found my favorite food. Yes, I know. It is not savory. But I could live off of s’mores forever. I love finding new ways to make this meal. Up until just the other day I was making loads of s’more dip. Don’t know what that is? That is when I take a handful of Ghirardelli chocolate chips (the absolute best in my opinion!) and melt them in a ramekin. 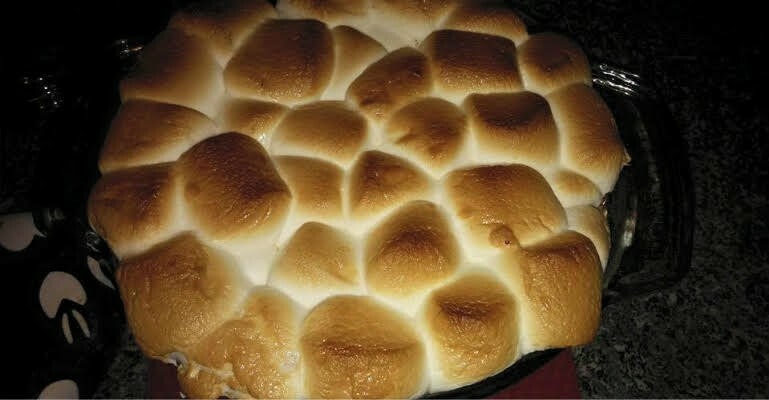 Then, I top it with marshmallows and put it in the oven on broil until they turn golden and toasty. I then break graham crackers in strips and use them to eat it as a dip. So so good!! Nowadays, I am always looking for a different or new way to make it. I want to find new foods that incorporate this flavor that I love. One of my favorite things is to make a milkshake with it. After spending lots of time making milkshakes, I decided to switch it up again and found this recipe. It is a s’mores cobbler with lots of gooey marshmallows, melted chocolate and crumbs of graham crackers. It was absolutely perfect. Now you can also make this chocolate dish for your family and friends. I promise, you’ll be the hit of the party if you show up with this one! Photo and recipe courtesy of Mostly Homemade Mom. Quick Tip: Top this with a mix of mini and large marshmallows.